Annette Lamb is a senior lecturer in the Department of Library and Information Science. 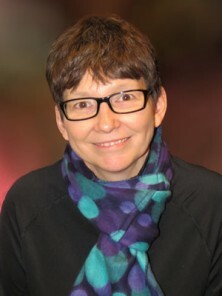 Prior to joining the faculty in 2002 she was a professor of education; associate professor of educational technology; curriculum library director; school library media specialist; and computer coordinator. Lamb is actively engaged in teaching, research, and service related to digital collections and libraries, educational technology, information sources, and history. She has developed and taught more than 20 different graduate courses and received the Board of Trustee Teaching Award in 2016. Lamb has written over a dozen books, published hundreds of articles, and conducted thousands of presentations. She volunteers with Teacher Librarian, a journal bridging professional theory and practice in library science. In 2016 she received a grant from the National Endowment for the Humanities (NEH) intended to spark intergenerational conversations about cultural heritage in rural Utah. Go to http://eduscapes.com/activate to explore presentations.